So far in 2017, we have had two mostly quiet months of Roller Derby, on the track anyways, online we’ve been saturated with announcements. To name a few, we have learned the tournament locations for both the Women’s Flat Track Derby Association and the Men’s Roller Derby Association, which both include locations in Europe for the first time. WFTDA introduced a new tournament structure and the women and men’s organizations are now partnering with the Junior Roller Derby Association on the rules of Flat Track Roller Derby. WFTDA has released two months of rankings, but so far little has changed overall, and none of the top 16 teams have budged. A few events and games have already taken place around the globe, and we’ll take a minute to look at some important remaining March events. Check out our calendar page for events throughout the year, and let us know if there’s anything we should add. One of the first invitationals of the year was held in Caen, France the weekend of January 28th and 29th. The annual “Slip It” event was hosted by Roller Derby Caen and while there were only a couple sanctioned games, one in particular, had a big impact for the Nottingham Hellfire Harlots. Their 152-point win over Roller Derby Madrid combined with a previous 285-point win against the Dolly Rockit Rollers boosted the Hellfire Harlots 126 spots in the rankings to #154. From my count, this is the largest jump in WFTDA’s ranking history, so it will be exciting to see where they go from here. Recently for International Women’s Day, the Hellfire Harlots posted this video by Damien Mingot from last year’s West Track Story. We thought it was cool enough to share. January also had the annual Jantastic Invitational banked track tournament, which you can watch a highlight reel of here. A mix of teams and talents participated, such as Bitraxual, The Rejects and the RDCL All-Stars. There were also a few mash up teams made up of flat trackers such as My Little Ponies and Team Wolfpack, the two teams who ended up battling it out in the final game. It resulted in another victory for the Ponies who have swept the San Diego hosted tournament three years in a row. Many countries have their own Championship tournaments that go on throughout the year, such as the British Champs, French Championships, and the Torneo X-MEN, the monthly tournament for men’s teams in Chile. They all kick started at the beginning of the year or continued from last fall. Numerous men’s leagues convened in the Netherlands for the Battle of the Beasts, and then in February, the United States had the Battle of the All-Stars, which we recapped in brief last week. Penn Jersey hosted March Man-ness the first weekend in March consisting of six MRDA leagues. The San Diego Aftershocks are currently #9 in the MRDA Rankings, but posted 200+ wins over #11 Mass Maelstrom and the #12 Philly Hooligans. Playing with the Aftershocks this year are Rollomite, Tony Muse, along with a few other skaters from Your Mom Men’s Roller Derby, and Crowe who played with Team United last season. New MRDA member league, Flour City from Rochester, New York, played one tough game against Mass Maelstrom, losing 438-22. That same weekend in Florida, Tampa Bay Junior Derby hosted Spring Break Swarm with 11 JRDA games taking place over two days. It featured an Australian Junior league, Lil’ Adelaide Rollers, who got four games in over the weekend. There were also top placing teams from last year’s JRDA’s Championships with the #5 ranked Tampa Bay Juniors taking down #3 California Mayhem 209-183. This past weekend was March Badness in Columbia, South Carolina which was made up of a bunch of Junior games, as well as one WFTDA sanctioned matchup. Last year’s overall D2 4th placing team, Charlottesville Derby Dames, took on home team Columbia QuadSquad who hosted and played at a Divison 1 playoff last fall. The #51 Dames beat #30 QuadSquad 169-157. Columbia will hit the track again next month at Southern Discomfort while Charlottesville will participate at East Coast Derby Extravaganza in June. There haven’t been many high-level, stand alone WFTDA sanctioned games yet this year, but on March 4th #32 Ann Arbor won against the #36 Mad Rollin’ Dolls 180-154. Last weekend #98 DuPage beat #109 Brewcity in a nail-biting 1-point win after being down by 36 points at the half. Currently unranked due to lack of WFTDA play, Oly took on the #155 Mainland Misfits in a sanctioned bout on Sunday, winning 331-36. The last time Oly was ranked, they came in at #61 last April. In unsanctioned matchups, #13 Crime City beat #27 Stockholm 229-127, #21 Rainy City won against #60 Auld Reekie 329-81 and #35 Ohio beat #31 Naptown by two points in Indianapolis. Ohio notoriously plays a busy schedule and already has 14 games on their schedule while their average in a year is 21 including WFTDA tournaments. Last weekend there was a Junior and Men’s double header at the Rat’s Nest in Seattle. The Seattle Derby Brats, who are #1 in the JRDA female division, took on the #2 Inland Pixies with the Brats winning 320-212. Looks like there’s recorded video from the games, although it cuts out after halftime of the men’s game. #10 Vancouver Murder played the B team of #6 Puget Sound Outcasts and the Murder went onto a 231-87 victory. Another MRDA game took place in Australia when the Victorian Vanguard beat Sydney City SMASH in a 213-130 matchup. That outcome was a bit closer since the Vanguard beat them by 212 points last November. Also a double header, the VRDL Queen Bees beat the Sydney Assassins 214-140. As mentioned, WFTDA restructured their tournaments, so now only the top 36 teams play for the Division 1 title while 37-52 will partake in Division 2 Playoffs. Three D1 Playoff tournaments will take place in Malmö (Sweden), Dallas (Texas), and Seattle (Washington) with D1 Championships happening in Philadelphia, Pennsylvania. The Divison 2 Playoffs and Champs will take place on the same weekend in Pittsburg, Pennsylvania with two brackets of eight teams narrowing the competition to four who will play for the D2 Cup. Roller derby momentum picks up in March with more tournaments and invitationals around the world. For the 8th year in a row, the Dallas Derby Devils will be hosting the Clover Cup in Texas, but the #12 Dallas Derby Devils won’t be participating with their charter roster this year. Instead of a bracketed tournament, the DDD Battalion of Doom will play in a weekend of scheduled games alongside eight WFTDA teams and three MRDA teams. The weekend won’t be live streamed, but the games will be uploaded to YouTube after the fact. Check out the weekend schedule on their website. Also happening over March 17th-19th is the 8th annual Dustbowl Invitational in Bakersfield, California. Teams ranked from #136-#274 will take each other on in a tournament style weekend that will produce a first place winner. V Town Derby Dames took it all last year, but #1 seed Sonoma County Roller Derby will try to hold on to that number this weekend. According to the Dustbowl Facebook page, they are still looking for an EMT on Saturday and a photographer for the whole weekend. On Saturday, the Texas Rollergirls home team, Hotrod Honeys, will be going south of the border to take on Mexico City, Juarez, and Guadalajara. Six games will happen over two days in an event called No Borders. The Tomodachi Derby Tournament will be taking place March 24th-26th in Okinawa, hosted by three Japanese teams: Kokeshi Rollerdolls, Tokyo Roller Girls, and Devil Dog Derby Dames. Joining them for sanctioned games will be WFTDA leagues Fairbanks from Alaska and Pacific from Hawaii. Also participating is Men’s Roller Derby Japan, Glenmore Reservoir Dogs from Canada, Women’s Roller Derby Japan, Yokosuka Sushi Rollers, and Pan-Asia Spring Rollers. In Europe that weekend, Newcastle Roller Girls will host eight other teams for two days of WFTDA sanctioned games. EuroClash 2017 will have teams ranked from #53 Bear City through #90 Dublin, including the Middlesbrough Milk Rollers who have been on the rise and will enter the weekend ranked #55. In preparation for the 2018 Roller Derby World Cup, Team Ireland will take on Team Scotland as well. Looking like a busy derby weekend, Skate to Thrill will also take place the same few days in March, hosted by #69 St. Chux Derby Chix. Only a year into being a WFTDA member, #76 E-Ville from Canada will be participating, as well as teams ranked from #34 No Coast to #100 Happy Valley. As for single games this weekend, #35 Ohio continues their busy season by hosting #31 Naptown this time, which looks to be sanctioned. In a Finnish duel, #29 Kallio Rolling Rainbow will take on #22 Helsinki, a matchup that hasn’t happened since 2014 and will be sanctioned for the first time. #40 2×4 Roller Derby haven’t played sanctioned games since returning to Buenos Aires from their U.S. trip, but they posted a 333-32 over Córdoba in January and will take on Sailor City this weekend. The roller derby world grows bigger every day, so if we missed a big game or event that is happening in March, please contact us. 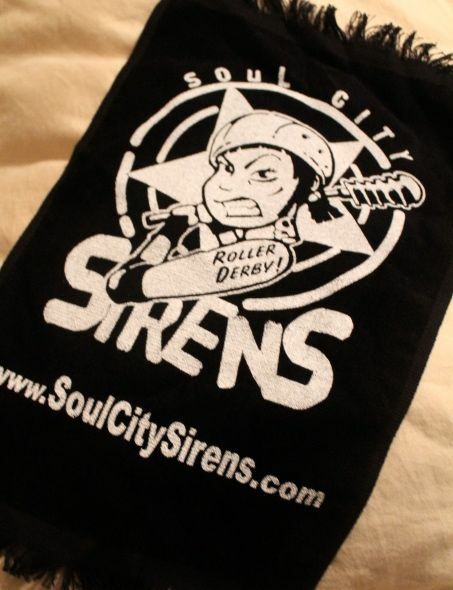 We also encourage anyone who wants to send scores, recaps, or pictures to tournaments@derbycentral.net. The post 2017 Roller Derby Springs Forward appeared first on Derby Central.